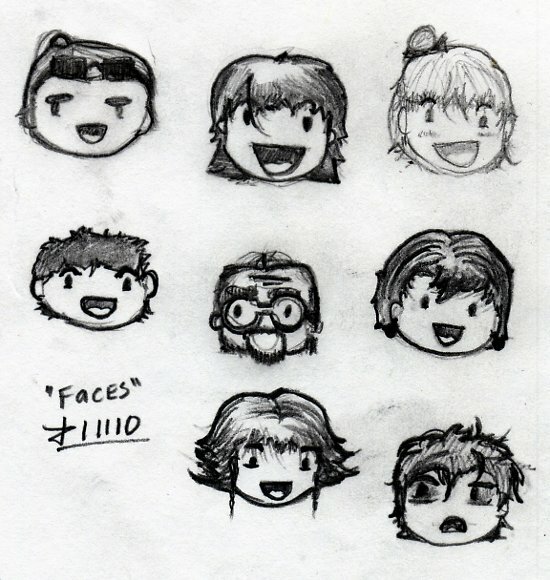 Just your average collection of doodle heads. Two are professors at my school. If I have to stare at them I might as well draw them. One is Alice Cullen. Maybe. Maybe not. One is Edward Cullen. But you have to squint your eyes and have very wishful thinking.